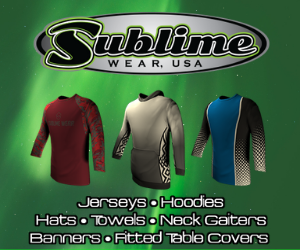 In the hunting, fishing and outdoor community there are so many niches. Many of those cross, such has hunting and fishing in general. 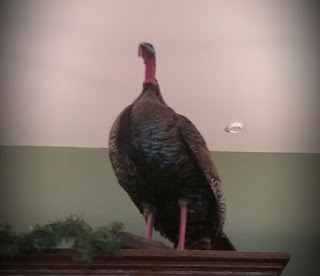 However, there are those that specifically only hunt deer or in this case turkey. While some of these may have been harvested through a deer hunt, it's great to see a healthy turkey population. One of America's most successful conservation stories. The preliminary numbers are out for the fall turkey. Below you'll see that the numbers are up slightly but, the number that has me smiling is the consistency of the numbers over the five year average. If you're interested you can check the county by county numbers HERE. Through Wednesday, October 31, 2018, Illinois archery turkey hunters harvested a preliminary total of 348 turkeys, compared to 325 for the same period in 2017. The 5-year average harvest total for this time period is 316. 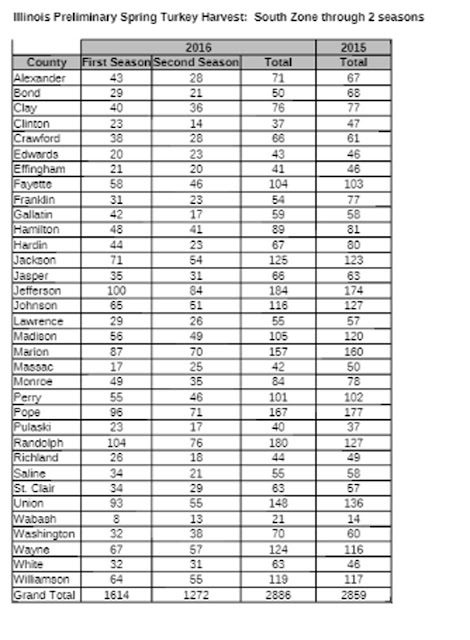 The top counties for harvest were Cass (12), Jefferson (11), Pike (10), Macoupin (10), Lasalle (10), and Jackson (10). Not much else to say, the IDNR Division of Wildlife Resources sums it up! Youth turkey hunters harvested a preliminary total of 1,156 birds during the 2018 Illinois Youth Turkey Season. In 2017, a total of 1,531 turkeys were taken, marking a record harvest. Weather undoubtedly was a factor in this year’s decline in harvest as youth hunters experienced unseasonably cold temperatures throughout the four-day season. While Capitol Outdoors and countless other high school anglers were being knocked around by high winds on Saturday, the woods and fields had youth striving for that elusive turkey. Below you'll see the numbers for the 2018 first youth turkey season and as you can see there was a decrease which we believe had a lot to do with the weather. The sounds of a Tom gobbling into shooting distance are what turkey hunters wait all year for. At the turn of the century the number of the wild turkey were drastically low. Today, that number has turned around because of hunters and conservation groups like the National Wild Turkey Federation. However, if you hunt turkey, finding a location to go can be difficult. Over the past few years Illinois Recreational Access Program (IRAP) has been wildly successful. In fact the program was so successful at the start with the youth that they opened it up to adults. Well that time is back, IRAP applications are being accepted for the spring turkey season. See below for all the information provided by the IDNR. 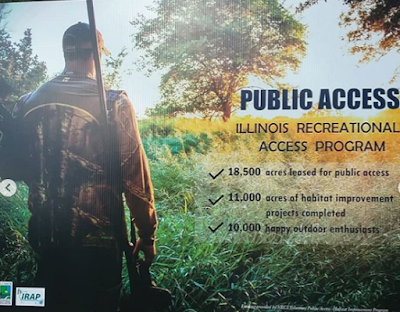 SPRINGFIELD, IL – The Illinois Recreational Access Program (IRAP) is encouraging youth and adult hunters to plan now to enjoy spring turkey hunting during the 2018 Illinois Spring Turkey Season, with access to excellent turkey habitat available through IRAP. Earlier this week we posted about the Fall Shotgun Turkey Season Numbers. Now it's time for the archery numbers. Numbers are up. Through Tuesday, November 1, 2017, Illinois archery turkey hunters harvested a preliminary total of 334 turkeys, compared to 234 during the same period in 2016. 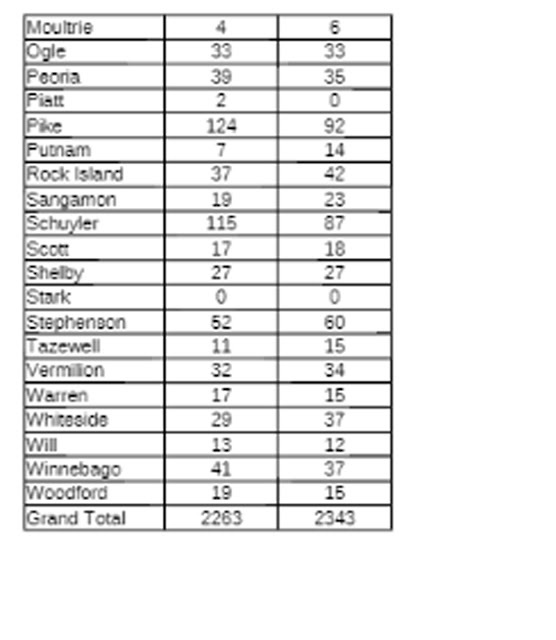 The top five county harvest totals were Cass (12), Fulton/Rock Island (11), Knox (10), and Clinton/Hancock/Marion (9), Jefferson/Jo Daviess/Ogle (8). For those that are interested here is a County by County Break Down. Gobble, Gobble, preliminary numbers are in from Illinois' turkey season and the numbers show an increase from last year. However, if you read below you'll see the southern zone actually harvest less turkeys this year compared to last. It's because of the youngesters who are included in these numbers why we see an increase in harvest numbers this year. Check out this years youngsters numbers. Below you'll see the press release from the IDNR. If you're interested in just you're county harvest numbers. SPRINGFIELD, IL – Hunters in Illinois harvested a preliminary statewide total of 15,719 wild turkeys during the 2017 Spring Turkey Season, including the youth season. The 2017 total compares with the statewide turkey harvest of 15,484 in 2016. The statewide preliminary total includes the record Youth Turkey Season harvest of 1,541 birds, compared with youth season harvest of 1,045 turkeys in 2016. Spring turkey hunting was open in 100 of Illinois’ 102 counties. The 2017 seasons were April 3-May 4 in the South Zone and April 10-May 11 in the North Zone. The Youth Spring Turkey Season was March 25-26 and April 1-2. This was the first year the youth turkey season was open for two weekends statewide, rather than one weekend for the South Zone and one for the North Zone. Turkey hunters this spring took a preliminary total of 6,842 wild turkeys during all season segments in the South Zone, compared with 6,694 last year in the south. The North Zone preliminary harvest total this year was 8,877 wild turkeys, compared with 8,790 in the north in 2016. The top counties for spring wild turkey harvest in the South Zone in 2017 were Jefferson (412), Jackson (359), Union (359), Randolph (349), and Pope (348). The top five North Zone counties for spring turkey harvest this year were Jo Daviess (610), Pike (404), Adams (395), Fulton (378), and Hancock (325). SPRINGFIELD, IL – Youth turkey hunters harvested a preliminary record total of 1,541 birds during the 2017 Illinois Youth Turkey Season. The dates for this year’s season were March 25-26 and April 1-2. This was the first year two youth turkey hunting weekends were open for the entire state. Previously, there was one weekend dedicated for the north zone and one for the south. In 2016, a total of 1,058 turkeys were harvested, combining both seasons and zones. The previous youth season record harvest was in 2012, when 1,300 birds were taken. This year, a total of 5,601 youth turkey permits were issued, including 106 permits for special hunt areas. Last year, 4,761 permits were issued, including 113 for special hunt areas. 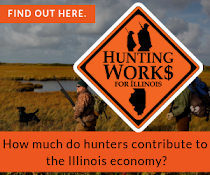 Ninety percent of land in Illinois is privately owned which leaves it hard, at times, to find places to go hunting. Could IRAP be the future of the majority of hunting in Illinois? Have you ever used this program to hunt? Are you a landowner that takes advantage of this program? Comment below and share your opinion. 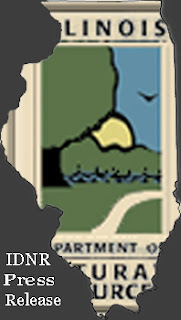 SPRINGFIELD, IL – The Illinois Recreational Access Program (IRAP) – a program of the Illinois Department of Natural Resources (IDNR) – has added adult turkey hunting to its growing list of outdoor recreation activities on private land in Illinois. Adult turkey hunting for the 2017 Illinois Spring Wild Turkey Hunting Season’s third and fourth season segments is available in Christian, Clark, Fayette, Greene, Macoupin, McDonough, Sangamon and Schuyler counties to any registered hunter. First-time adult turkey hunters (individuals who have not hunted turkey in the past 5 years) can also apply for Brown and Fulton counties in addition to the counties listed above. Gobble Gobble... The Illinois Department of Natural Resources released their Preliminary Spring Turkey Hunting Report. Numbers seem to be about the same as last year. How has your season been? North Zone: Turkey Hunters in the North Zone harvested 2,263 birds first season, compared to 2,343 during first season 2015. South Zone: Turkey Hunters in the South Zone harvested 1,614 birds first season, and 1,272 birds second season. Last year’s totals were 1,526 and 1,333, respectively. Total harvest through 2 seasons was 2,886, compared to last year at 2,859. 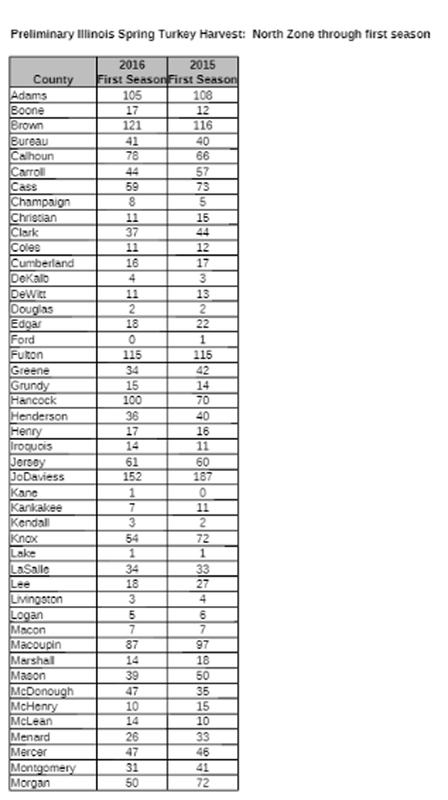 Below is a county by county break down for North Zone first season and South Zone first and second season numbers. 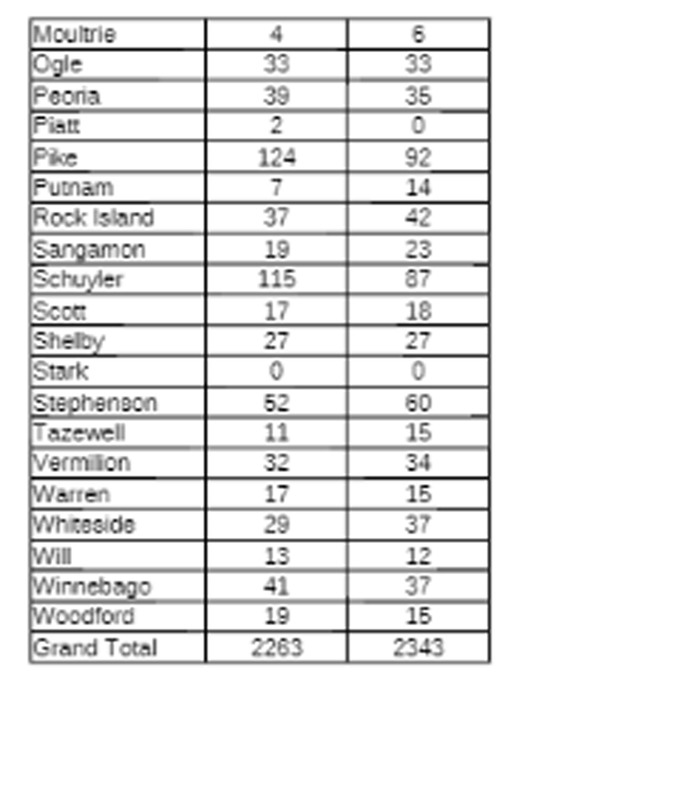 Illinois Department of Natural Resources and Paul Shelton released the following information of the preliminary results of the youth turkey season in both zones. South Zone harvest was 450 (354 last year), while North Zone harvest was 599 (547 last year). Below is a county by county breakdown and the numbers from last year. Did you take youth out for turkey season this year? Comment below and share your story if you did. Gobble, Gobble, Turkey season is always around the corner. Fall or Spring there's nothing like a turkey strutting into range. The NWTF has a great program called "Save the Habitat Save the Hunt". 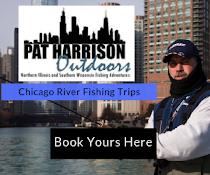 Go to a banquet and support conservation efforts here in Illinois and other parts of the country. 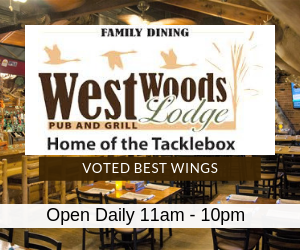 Make sure to check out the Illinois National Wild Turkey Federation website. Everyone has their opinion regarding tips for turkeys hunting. After hours of research we've come up with our 5 Tips for Hunting Turkeys. Weather you are a professional or a rookie; you need to do you're research. Going online looking at maps, forums and other medias will help you come up with your game plan. You need to visualize the hunt before you go and know where you are going. Today we live in an online era of technology where information is rapid. However, to get the Jake into your spread you'll have do some scouting the old fashion way. Get yourself in the hunting mood. You don't want it to be opening day and not know what your surroundings are. The reason why most guys miss a turkey is because they didn't pattern their gun. Get out shoot some rounds and see what your pattern looks like. We've found that our 20 gauge shoots to the right with the extra full choke in. Being able to compensate for that will lead to more successful hunts. Having good camouflage is important to having a successful hunt. Cover your face hands and stay still. More important than having expensive camo is matching your surroundings. If the area you are hunting is still taking its first breath of Spring air don't wear too much greens; instead wear browns. Much like waterfowl hunting you want to practice your calling. Getting in-tune is critical. If you're not great at calling at least you know that going into the field. 5 Tips... It could be just as easy to make it 25 tips for turkey hunting. If you have already searched for tips on turkey hunting and are lost in the how many there are; this list is for you. When you break it down; these five tips will help increase your odds this turkey season. Gobble, Gobble. That's right spring is right around the corner and before you know it, turkey season will be here. 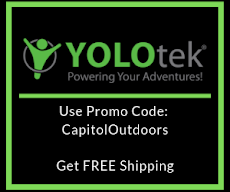 Last year was the first time Capitol Outdoors experienced a turkey hunt. Let's say, it was educational. However, with that experience behind us we're excited for our second turkey adventure. A few months back Michael and I applied for a Spring Turkey tag. Well, I got a permit and sadly Michael didn't. However he looked at me with the biggest smile on his face and said I can't wait until turkey season. Why I asked with a grin. Because this will be our best episode of Capitol Outdoors, he replied. He said that I'll be the one hunting so he will be able to record the entire hunt. I kept thinking to myself my first turkey hunt, I've never been turkey hunting. I've only watched it on TV and enjoy eating them at Thanksgiving time. Thankfully Michael has never been either so it will be a learning experience for the both of us. Like any type of hunting there's a lot to learn. I began researching, watching turkey 101 on YouTube and even attending turkey seminars. I found several things that kept getting repeated and some that didn't, however all the information I have gathered will help a first-timer in the field. Out of these five things there's one area I feel is the most important. Calling! Since Michael and I are on a budget, we bought a kit with a slate, box and diaphragm call in it at our local sporting goods store. Now there's people out there that will say these are horrible calls, they don't sound like turkeys. They very well may not sound like a turkey however, with our research we've found the biggest mistake for new turkey hunters is the tendency of over calling. So, we are going to do our best to not overcall. We are also going to get out to the area that we are going hunting to Scout the area. Mostly because I want to prepare myself of where I will be going that day and see what the area looks like to prepare ourselves for what we will need. Let's see if there are any turkeys there! I have also purchased some new camouflage so that those turkeys aren't able to see me. It doesn't have to be expensive, it just has to help cover you up and not be seen. Now, I have never shot at a turkey before and I don't want the first chance I get to be blown by not recognizing how my gun shoots. So, the first chance you get you should pattern your gun. It will help you in the long run! Watch our Youtube Channel for the Video of my First Turkey Hunt. Remember Enjoy the Outdoors, Good Luck & Stay Safe. The results for the first lottery for 2014 Spring Wild Turkey Permits will not be available before the deadline for the second lottery application on January 13.